Kolkata is the biggest and main industrial, commercial and financial hub of entire Eastern India. Geographically, it is the gateway to the North-Eastern states of India. It joins the North to the South, via the East. The heritage, tradition and culture of Kolkata speaks for itself. Every street, every road, every chowk, has its own stories in Kolkata. It has centuries old history, which has seen major ups and downs throughout the timeline. Being the capital of the East India Company, Kolkata owes much of its development to the British East India Company. Having said that, Kolkata has also seen worst conditions like the Bengal Famine during the British Era. It was the will power and the inner strength of the city and the people itself, that it stood for themselves, without any help from the ruling authority, and become one of the biggest hub for everything in the entire country and proved its dominance in the entire region. In modern times, the state has gone through the partition, and the aftermath of that. But still, it has the strong will to stand tall and it did stood tall against all odds. Right after the partition of East Bengal and West Bengal, major part of the resources either went to the East Pakistan or exhausted during the 1971 war. Kolkata has India’s second largest and India’s oldest stock exchange, the CSE (Calcutta Stock Exchange). All the towns and cities, however small or big, directly or indirectly depends on Kolkata. According to a report, as of 2001, 0.81% of city’s working population is engaged in primary sector (forestry, mining, etc. ), 15.49% in secondary sectors (Industries and factories), and 83.69% working in tertiary sector (service industries). Kolkata houses immigrants coming in search of livelihood from neighboring states like Bihar, Jharkhand, Uttar Pradesh, etc. Major population of these immigrants are employed in primary and secondary sectors. Kolkata is home to India’s and South Asia’s first metro rail. Banks like Uco bank, Allahabad bank, and United bank of India, was founded in Kolkata and has headquarter in the city. Apart from that, some other reputed companies, whose headquarter is in Kolkata are: ITC Limited, H R Group, Philips India, CESC Limited, Birla Corporation, Bata India, Britannia industries, Hindustan Motors, Exide Industries, Coal India Limited, Tata Steel and Processing Limited, etc. It is clear from the names of the companies itself that Kolkata has a lot to offer and the investors realized it at very tender age of Kolkata. They invested and made it the giant, it is today. The production may or may not be done in the city but the management is done entirely from here. The infrastructure and the availability of resources may not be sufficient to put a new old economic sector industries like factories and manufacturing units, but is has a great potential for the new economic sector industries like IT and ITES. It has National and International airports, Major Ports, Terminating Railway Junction, Bus Depot Hub, which makes it accessible from anywhere, by any means, and this gives it the strategic benefit of the location and hence, the city became the headquarter material. Production and manufacturing may be done anywhere else, but the main business is done here. The people also are accustomed to the lifestyle. The growing phase of IT sector, has proved that the city has potential to adapt to new changes. The city is also a hub for banking and finance sector. A financial hub, which after construction will be India’s second, is under process in New Town. The government allowed foreign direct investment, FDI, which allowed the IT sector to boom. The DLF IT Park in New Town, has IT giants like IBM, Ericsson, Accenture, Texas Instruments, Cisco, Intel Asia, Novell, Sun Microsystems, etc. 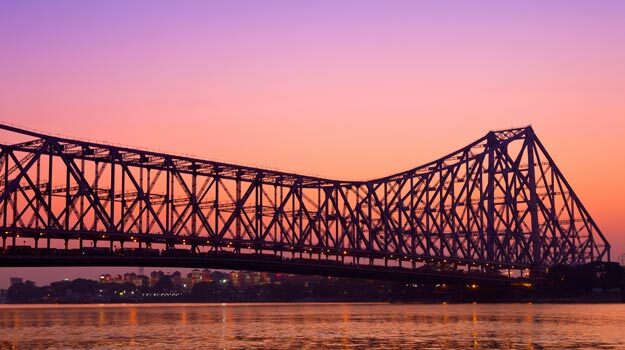 Kolkata is one of the first Eastern Indian city to attract the tech giant to set-up their foot in India. This opened up the opportunity for the younger generation to be a part of the bigger picture. The presence of actual manufacturing and production industries is less in Kolkata. The products are manufactured in other places and is transported to Kolkata via roadways, railways or waterways. The market is flooded by the truckload of goods from the remote locations and satellite areas for business. i.e. wherever the product may be produced, it is transported to the nearest hub for business and other process. The reason of flourishing market and booming economy is the ease of doing business in a particular area. The ease of doing business report of World Bank, put Kolkata in 17th position. Development of New Kolkata, will ensure the development in coming times. The investors are directly investing into the development of the infrastructure, which will definitely reap profit in the future. It has been experimented before. The existing infrastructure is of the British era, which needs to be preserved. With the availability of opportunity, the further expansion shall be seen in the near future. The city openly accepted the change, all the times. Time to time, it lays down an innovative way of doing the business and getting the things done, which later on is adopted by other places. The process of obtaining the trade license is an example, which is unique in India. This attitude has helped the city, stand firm during crisis and helped it in the longer run. Whatever the case may be, however down the economy falls, the city always managed to come back on track. The development of city as smart city and using the cutting edge technology, keeps it out of the crowd. After the British empire, when many cities fallen down, Kolkata worked in a smart way to gain power. It is been seen that accepting change and moving forward with it is the best choice to make, which definitely helps in future and in present. For more info about the next generation way of transportation, the online booking of trucks and freights go to Goods On Move. The transport services for goods are taken online. The business is done with ease and hassle free manner. No Comment to " Kolkata - Industrial Development Post Independence "